The office of the School of Informatics and Mathematical Science, Faculty of Engineering is located at the Faculty of Engineering School Bldg. No. 10 1F. 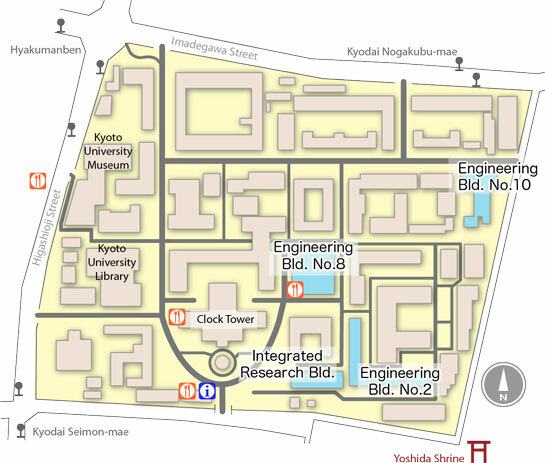 For further information on means of transportation (JR line, private railway, and Kyoto City Bus) accessing the main campus/Yoshida campus, please refer to here. Faculty of Engineering Integrated Research Bldg.